from the bunch lined-out on hay. some find the carriage of a queen. 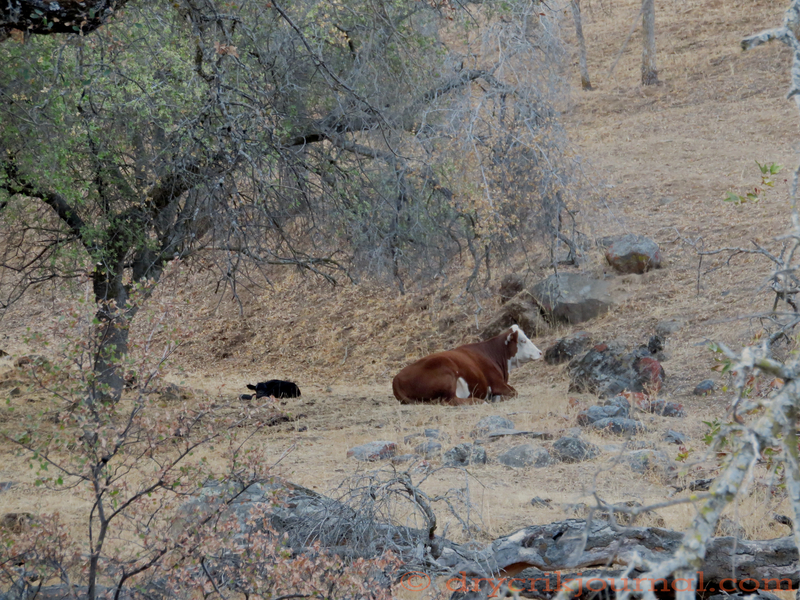 Checking on our first Wagyu X calf Tuesday morning, I could see from the gate a considerable flapping of black wings beneath the hillside oak tree where I left our new pair with a couple of flakes of hay the day before. 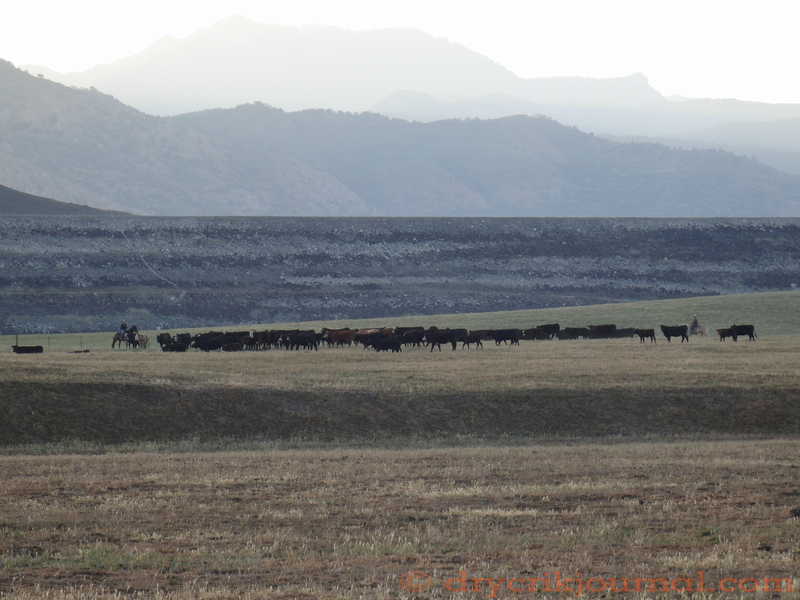 My heart sank, then rose again as the calf seemed to come alive beneath a dozen Ravens hopping, vying for position over the lifeless black lump with an empty hole in its abdomen, the heifer standing off to one side. The Ravens had either badgered the calf to death early that morning or late the evening before while the heifer was away getting a drink or it died while its new mother was off with the other heifers grazing socially. In either event, the new mothered suffered from what I have recently acronymed as IMI, insufficient maternal instincts. Looking back, I had sensed it from the beginning. 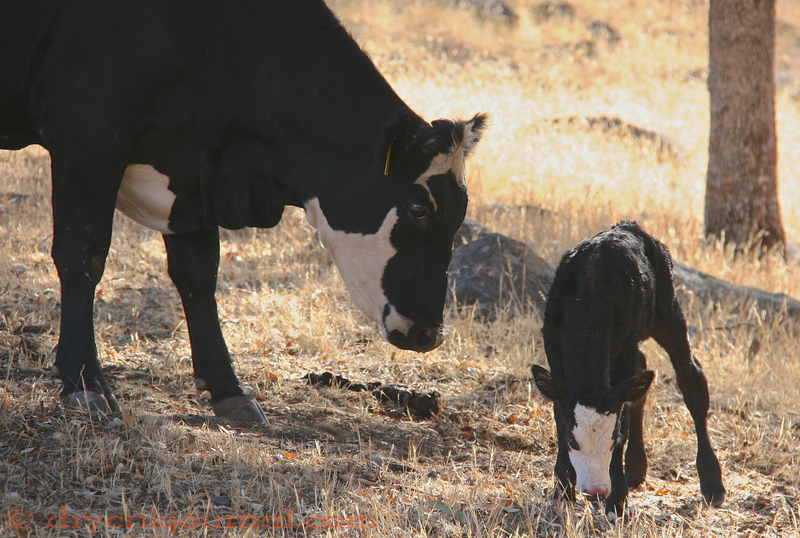 Beyond the monetary loss, the two-year investment to get a live calf on the ground, it’s always terribly sad and disappointing to lose a calf, but its part of the cow and calf business. The heifer passed the fertility test but failed as a mother, for whatever reasons. 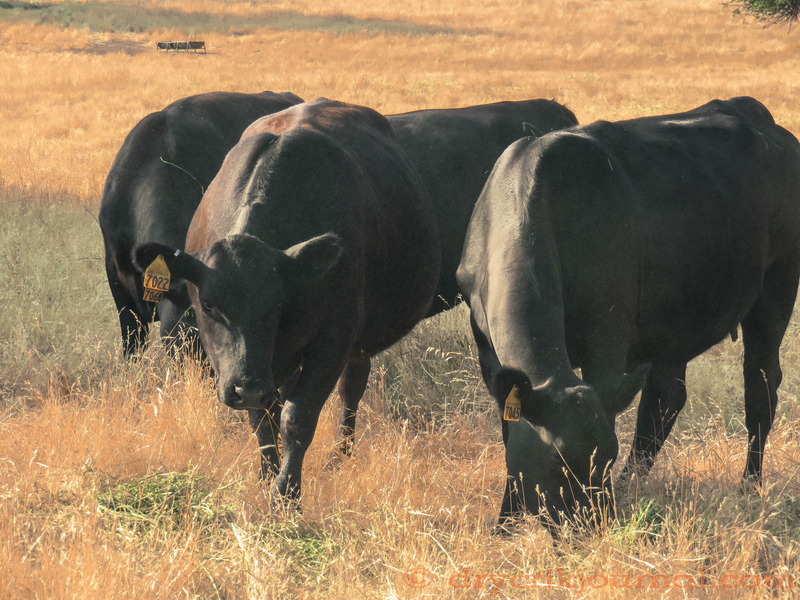 In our selection process for replacing older cows, we strive for genetics that can raise a calf and make a living on our native feed. She’ll go to town this spring when she is fat. As part of the Age & Source verification process, we keep track of the birthdays of our first and last calves. Yesterday’s number 2 heifer (Tag # 2068 above) is now number 1, August 28, 2013.